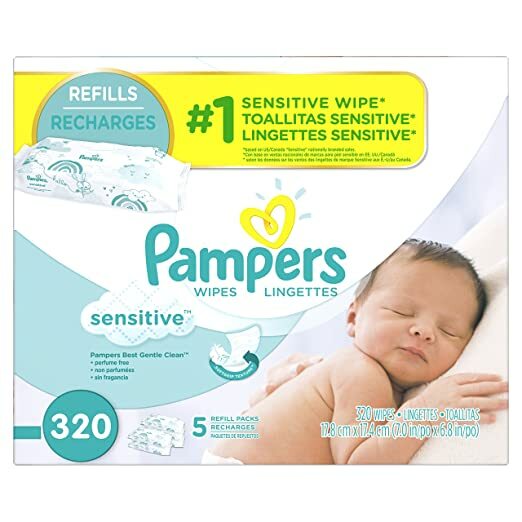 Amazon has Pampers Baby Wipes Sensitive 5X Refill, 320 Count for $7.62 or less when you clip the $0.50 extra savings coupon , and checkout via Subscribe & Save. This entry was posted in Amazon, Diaper Deals on June 10, 2017 by Crodeal. Amazon Prime Members can get this 448-Ct Pampers Baby Wipes Sensitive 7X Refill for $10.39 when you checkout via Subscribe & Save. Free shipping. This entry was posted in Diaper Deals, Hot Deals on April 13, 2017 by Crodeal. Jet.com has 20% Off 2 or more Pampers or Luvs Diapers using promo code “LUVSPAMPERS20”. Free Shipping on orders of $35+. New customers can get an extra 15% off w/ code “TRIPLE15”. This entry was posted in Diaper Deals on March 14, 2017 by Crodeal.